Our business management and customer relationship solution enables you to manage the whole sales cycle, from prospecting to invoicing. We offer modular business management solutions that simplify processes and increase performance. Particularly adapted to service providers, this solution complements our CRM system by improving administrative organization and processes. Our business management solutions that simplify processes and increase performance. Particularly adapted to service providers, this solution complements our CRM system by improving administrative organization and processes. Management solution for the entire invoicing process (quotes, orders, deliveries, invoices and credit notes). Sales forces management solution from marketing to customer service. The main objective of our Supplier Relationship Management solution is to improve communication with the suppliers, to establish a common set of methods and to achieve savings. The solution includes dashboards and built-in analysis reports for business and administrative tracking. Product group, family and sub-family management. Centralization of your contacts into one unique database. Grouping of companies belonging to the same group. Flow chart of accounts and contacts. Creation and modification of your business proposals. Automatic creation and dispatch of quotes in PDF format. Multi-currency, multilingual, multi-agency and multi-company solution. Tracking of partially delivered, invoiced products and corresponding amounts. Customer delivery and serial number management. Invoice and credit note management. Invoice digitization with automatic dispatch of digitally signed invoices. 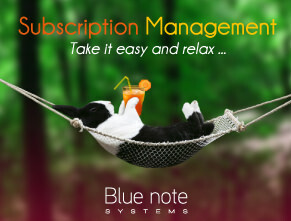 Subscription management with automatic billing of subscriptions. Payment tracking: Payment schedule and check remittance. Export of direct debit in the SEPA format. Multi-channel reminder system including mailing, emails with template letters and emails for each dunning level, automatic dispatch of reminders via emails. Integration with common accounting solutions on the market. Purchasing management and supplier relationship management. Inventory management and bill of materials. Our solution also includes Inventory management features if needed. Those features enable you to manage your inventory (physical stocks, book inventory balances, available stocks) and include a module for manual data entry. Reports enable you to track and analyze your inventory. The system includes a bill of materials that enables you to define which products are being managed in the inventory for a given item sold. Mobile application for smartphone iOS or Adnroid. 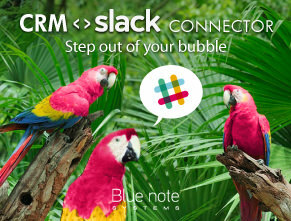 Connectors that enable you to link your CRM solution to your Internet applications, your online shop or your bookkeeping. Homepage or dashboard can be customized by each user. Module to create customized reports. Activity tracking dashboard that can be customized. 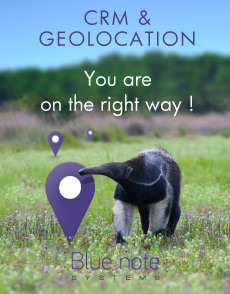 Our business management solution is compliant with the requirements of the French tax authorities regarding data unalterability, securing, conservation and archiving, as required by paragraph 3a of article 286 of the French tax code (see the general terms and conditions of sale for further details). 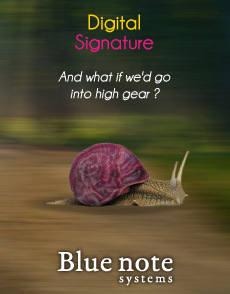 Blue note systems offers an enriched Business management solution made of a set of applications that address the most advanced management needs, including management applications for customer relationship, workflow processes, purchasing, marketing campaigns and decision-making dashboards.